All proceeds from our Boarding service goes directly to April Lodge , enabling us to carry on our animal rescue work in the local community. When you go on holiday make sure you leave your guinea pig in the hands of the experts. The welfare of our guinea pigs is of paramount importance to us. 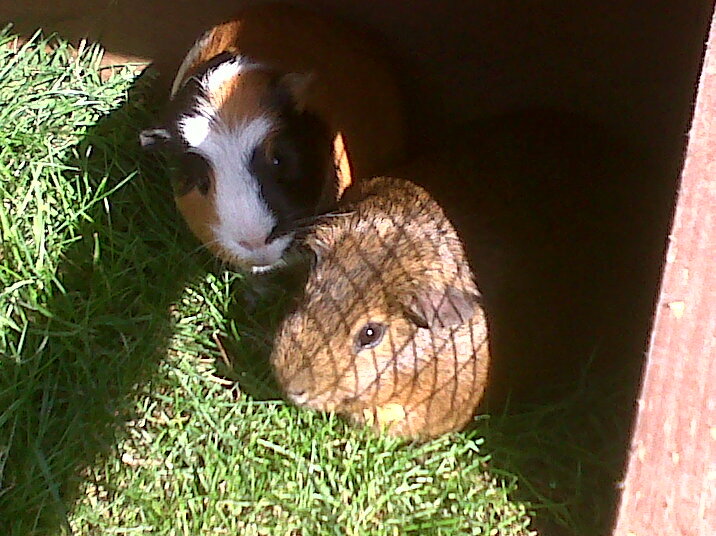 If you board your guinea pigs with us, you can be assured of the same uncompromising treatment. Everyone who loves their pets wants the best for them whilst on holiday. April Lodge provides a premier service, low cost, boarding facility. We are proud to say all the proceeds from pet boarding go directly to the charity to help us continue our work with rescue guinea pigs. Guinea pig accommodation is a light, airy, double glazed, a 30ft secure, insulated, timber building with adjoining clinic. The visiting guinea pigs have a taste of what it is like living in a colony, with the smells, sounds and sights of other guinea pigs. But don’t worry, they cannot get to each other! We now offer optional spa treatments. This includes a massage in a blend of oils including lavender, lemongrass and patchouli, mixed with an almond carrier oil, followed by a bath with a soothing gentle shampoo and blow dry. Please note: Price per day for holiday boarding is double for bank holidays and Christmas Day.